Between 1990 and 2006, approximately 147,696 people were treated for golf-cart related injuries. Arm and hand fractures were the most common injuries, occuring in 41.3% of cases. Fractures to feet and legs were the second most common injuries at 37.9%. According to the numbers, golf cart accidents have risen dramatically in the last two years. Visits to emergency rooms for injuries sustained in these accidents total in the tens of thousands. These vehicles are the preferred mode of transportation on golf courses, but they are also being used to tool around communities, college campuses, airports and even hospitals. Golf carts used to reach speeds of no more than 15 mph. Today, carts are being made to reach 25 mph. Increased speeds have not meant increased safety features. Most golf carts don’t include turn signals or wipers. Some don’t have mirrors, and many aren’t equipped with brake lights. Even though they are being used as vehicles, they don’t come equipped with the same safety features. Therein lies the problem. Because golf carts don’t offer the same kind of protection as cars and because they aren’t always driven responsibly by their operators, serious accidents are on the rise. There are stories of occupants being thrown from carts, trapped under them after a rollover accident and people being struck by carts. The North Carolina Highway Patrol doesn’t keep statistics on golf cart accidents, so the numbers may not be as accurate as they could be. What we do know, however, is that there are certain steps you can take to protect your interests after an injury — and hiring a North Carolina golf cart accident lawyer is a great place to start. Making sudden or sharp turns, causing the cart to roll over and eject the occupants. Turns should be taken carefully and with caution. Golf carts are prone to tipping over, meaning that turns should be taken at very low speeds. Putting too many passengers on the cart at once. Each cart is meant to hold a certain number of passengers. Some smaller carts are meant for two occupants, and some four. Always know how many occupants can safely ride in your cart, and don’t invite any more to ride along. Driving too fast downhill can cause you to lose control of your cart. Be mindful of your speed as you are traveling down a hill or trying to brake. Distracted driving is a problem in any vehicle, including golf carts. If you are operating a golf cart, put your cell phone down. Pay attention to the task at hand and avoid distractions. Driving over hazardous terrain. Golf carts aren’t made for off-roading. Stick to paved trails and those marked for carts. You are risking yourself and the people in your cart by driving over terrain that isn’t meant for to be driven on by a golf cart. Collisions with other carts. Pay attention to the other carts on the course or the street. You can control yourself, but you can’t control other drivers. As Carolina golf cart accident attorneys, we understand that you may have some questions after you have been involved in a golf cart accident. We are here to help answer some of those questions. Yes. Depending on when and where the accident happened, there is most likely a limited amount of time for you to file a lawsuit. If you do not file your claim within a certain time frame, it may be barred from court. In North Carolina, that limit is generally three years. There are many different rules and exceptions that govern the time allowed for the filing of a lawsuit. Please speak with a licensed attorney to determine the statute of limitations that governs your claim. Who should I name in my lawsuit? A golf cart is considered a vehicle. The person driving the cart at the time of your accident may be named in the lawsuit if they were negligent. The owner of the cart, if different than the driver, may also be named in certain circumstances. The owner and managers of the facility in which your accident occurred may be named in the lawsuit if the accident can be attributed to improper grounds maintenance or another issue. How do I establish liability? You will need to show the that the person you are blaming for your injuries was negligent. Negligence can be shown by first showing that the person or person’s that caused the accident owed a reasonable duty of care to the injured person or persons. Essentially it means that you would need to show that the at-fault golf cart driver or other vehicle is responsible for driving in a safe manner (which they are). By explaining what the at-fault party did to cause the accident, you can show that they did not drive in a safe or reasonable manner and that they breached the duty that was owed to their passengers or others. Lastly you will need to show that you were injured, and that your injuries were a direct result of that negligence. If you can prove your claim, you may be entitled to damages. These may include medical bills, repairs for damages that were done to the car or golf cart, lost wages and more. Your attorney can help you determine exactly what damages you may be entitled to. 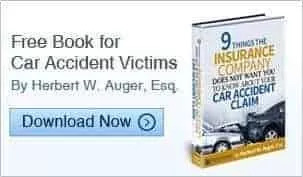 Your damages are based upon the unique circumstances of your accident. One of the first steps in a personal injury matter is to find a reputable and experienced attorney to consult with about your options. An attorney will have the knowledge and experience that is necessary to help you protect your interests, help you deal with the insurance company and importantly work to secure you the compensation you may be entitled to. If you have been injured in a golf cart accident in Charlotte or elsewhere in North Carolina or South Carolina, you have legal rights you may not be aware of. If you sustained injuries because someone else was negligent, you may be entitled to compensation for your lost wages, medical bills, pain and suffering and more. Call our team of experienced Charlotte golf cart accident lawyers today to speak us about your potential claim(s). Time is of the essence; schedule your free consultation now.